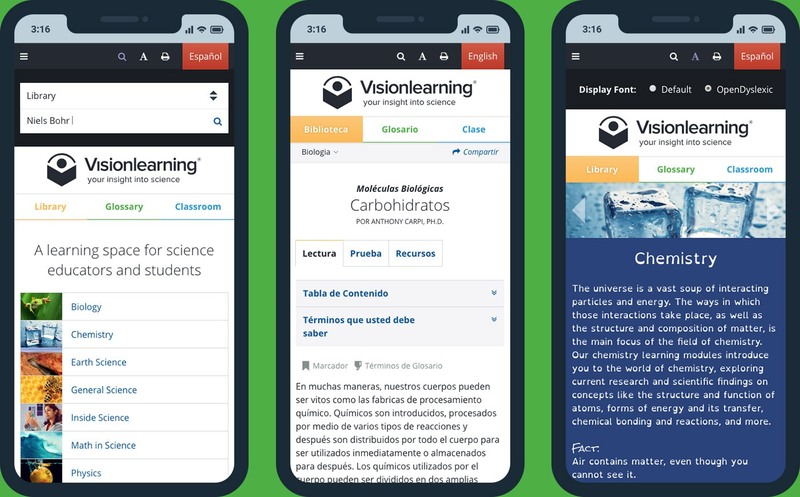 Visionlearning (at the City University of New York) provides free, high-quality educational materials in the science, technology, engineering, and mathematics (STEM) disciplines. 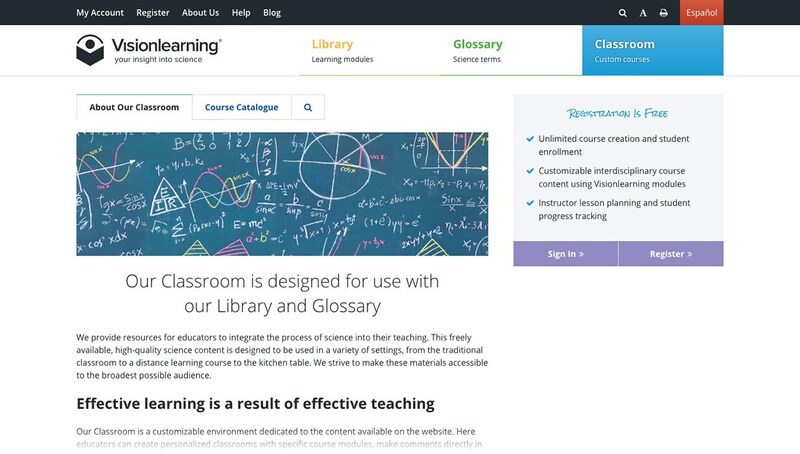 While their science content was valuable, they were concerned about high bounce rates, website accessibility, and student learning retention. We constructed a brand and website design strategy that engages a new generation of learners–while offering a familiar yet altogether new experience for existing students and teachers. The new Visionlearning logo depicts reading, education, and vision. 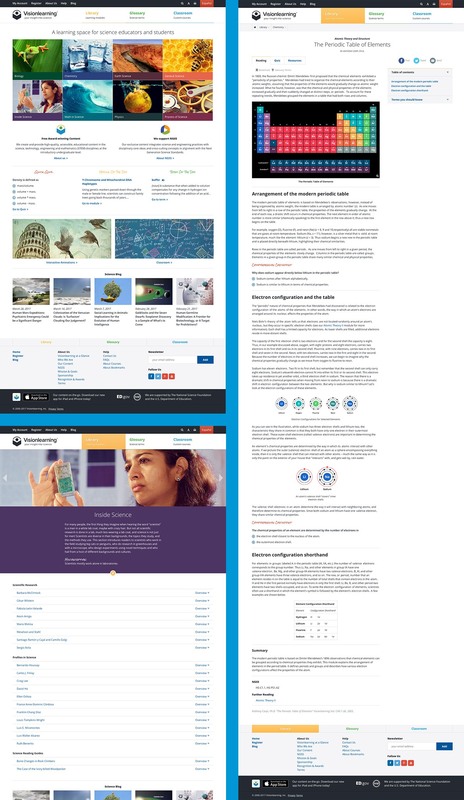 The color palette correlates with the Library, Glossary, and Classroom regions of the website. 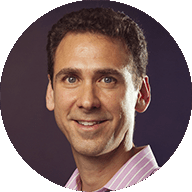 Available in English and Spanish, all content is mobile-friendly. The OpenDyslexic typeface option makes reading easier for dyslexic learners. Disabled users can access all content through keyboard navigation. 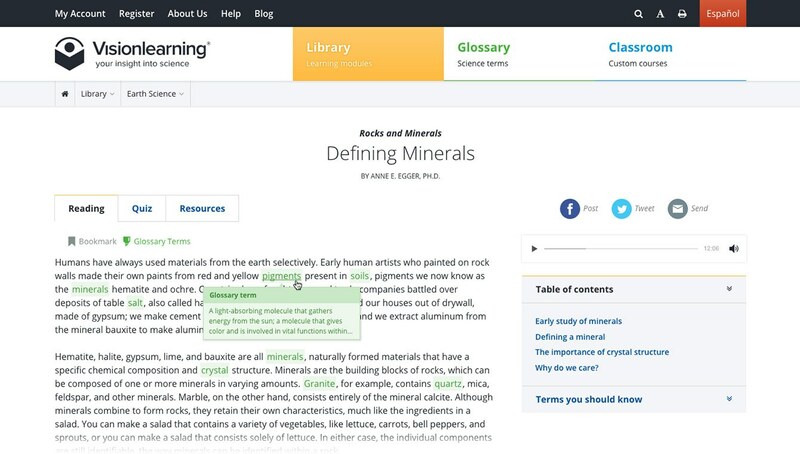 Intuitive navigation, improved literacy features, and science concept visualization help learners to find exactly what they need–and discover something new. 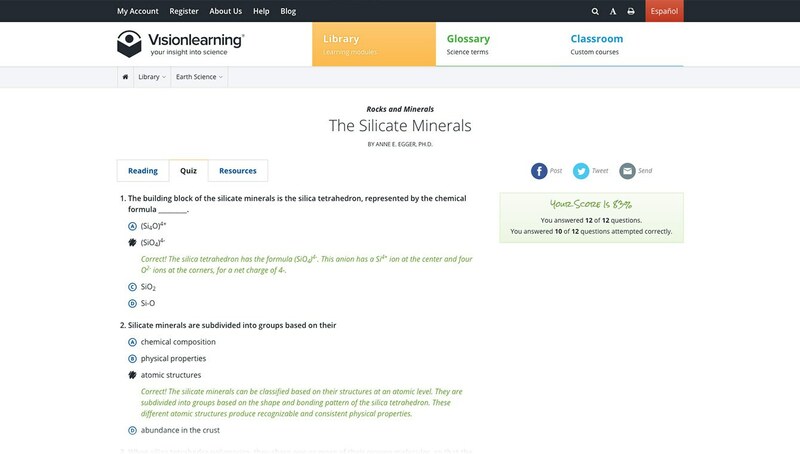 The Library page offers all available learning modules at a glance. 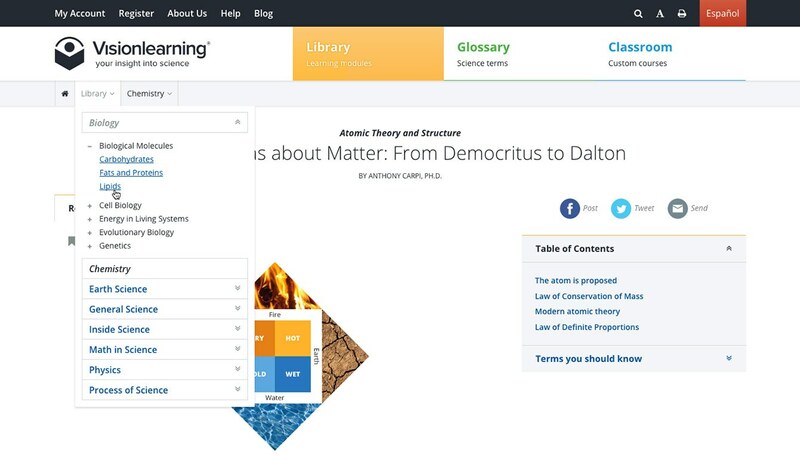 The multi-tier breadcrumb allows learners to navigate to other modules effortlessly within one another. 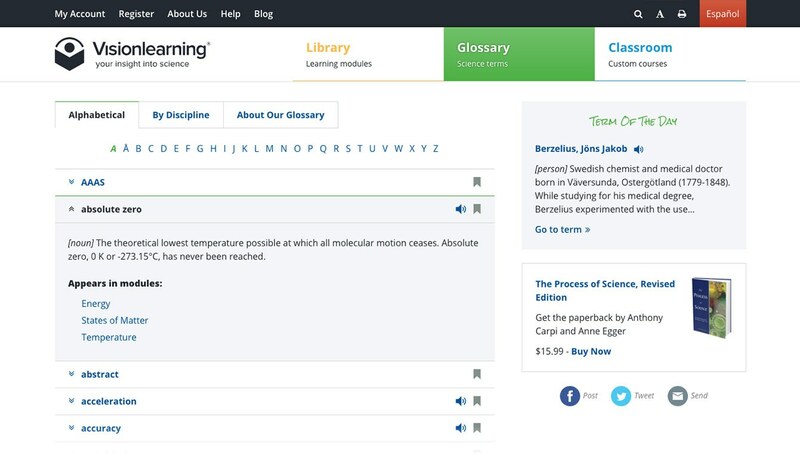 Learners can highlight glossary terms within the reading. Term definitions are available on hover. 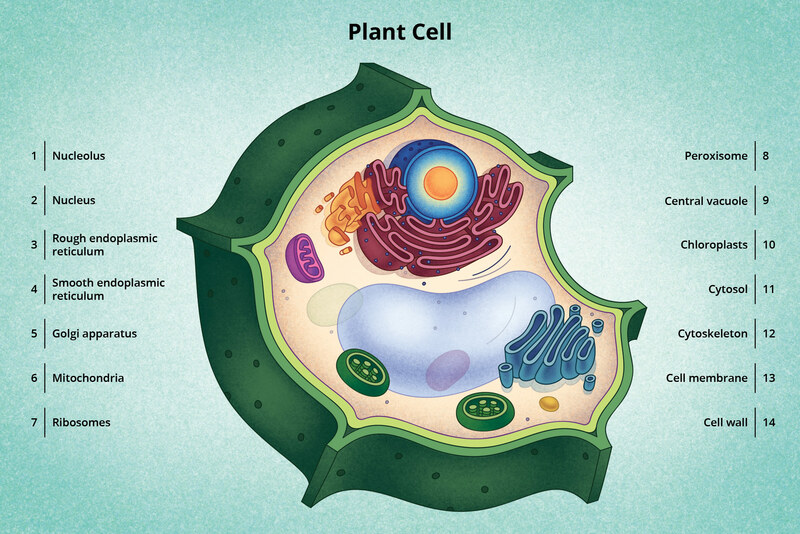 Digital illustrations combined with photo references help learners understand scientific concepts. 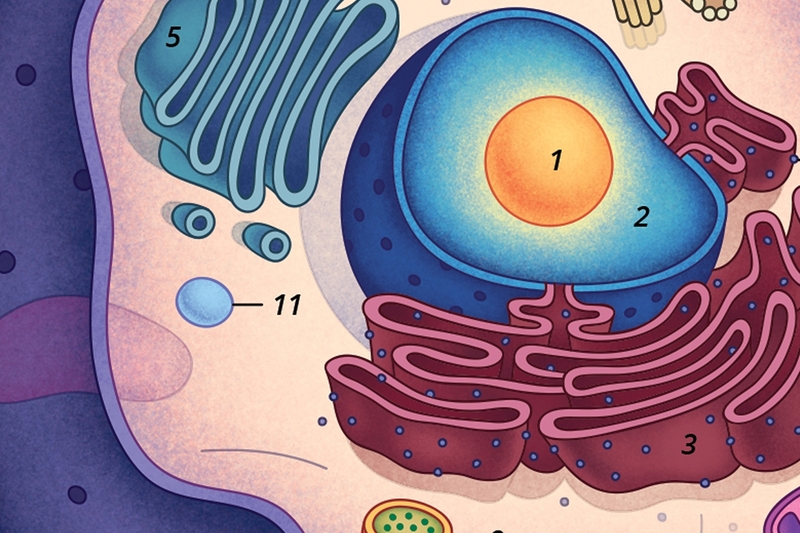 Quizzes help learners test their retention. 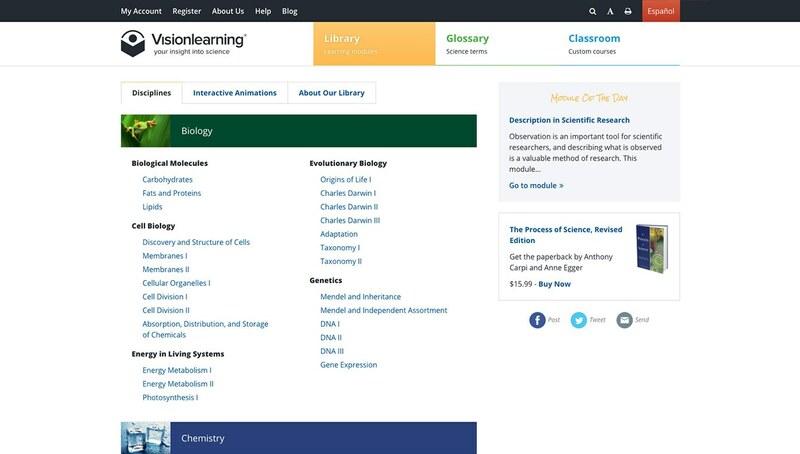 The Glossary provides access to hundreds of easily searchable scientific terms — alphabetically or by discipline. 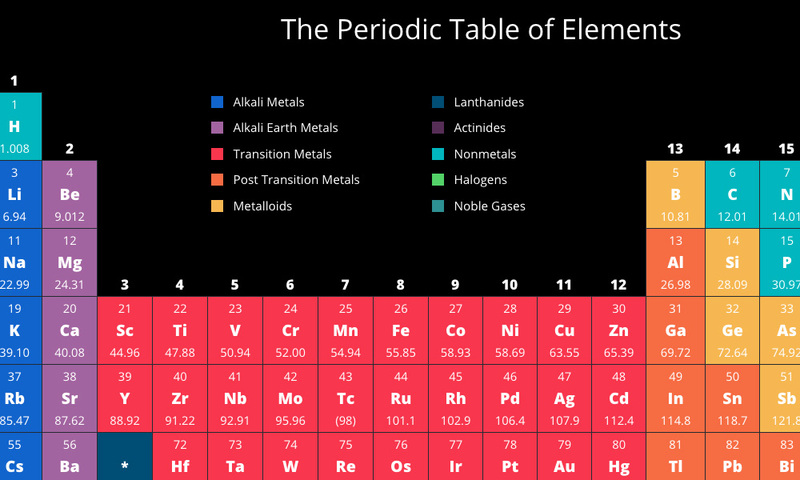 In the Classroom, teachers can create custom courses, store lesson plans and notes, and track student progress. 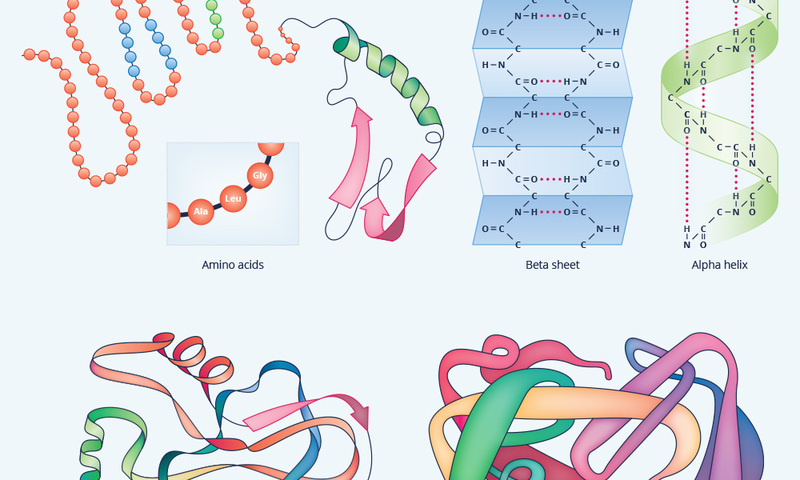 Custom figure artwork adds clarity to a variety of sophisticated and complex scientific topics.